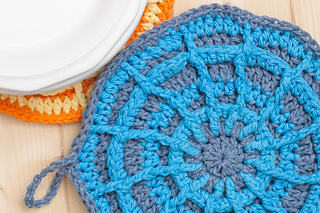 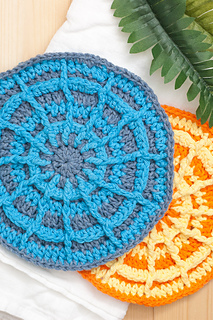 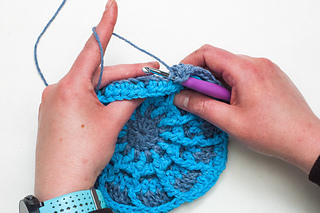 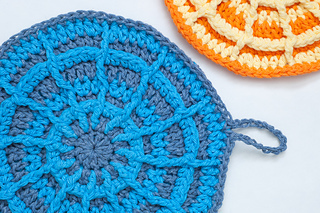 Crochet the Wagon Wheel potholder! 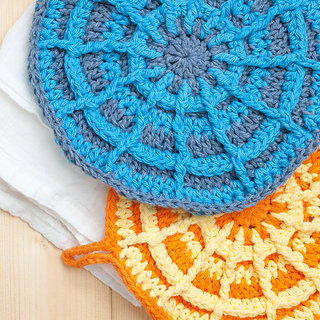 It’s a double-sided cotton potholder that will bring some fresh farmhouse style to your kitchen. 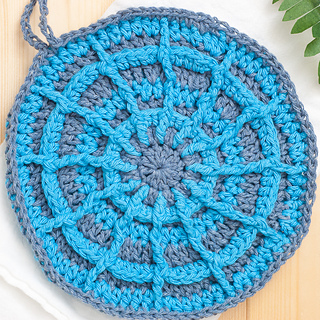 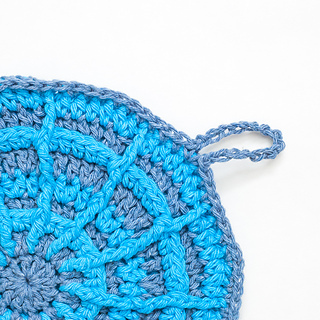 The wagon wheel potholder crochet pattern and step-by-step photo-tutorial are available for free on the You Should Craft blog, or an ad-free printable version can be purchased from Ravelry.